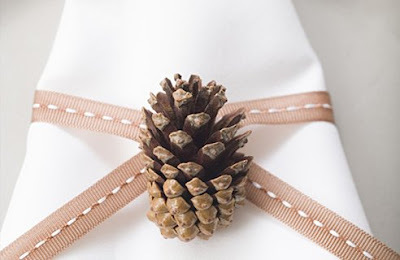 For the third instalment of Start Now and Be Ready for Christmas, I've got some pinecones for you. There's something just lovely about bringing nature into the home at Christmas, and pinecones are relatively easy to find -- most craft shops sell them by the sack-load. 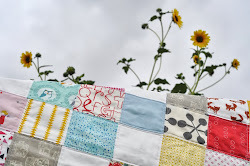 But perhaps these ideas will inspire you to start early, and have time to collect your own this year. 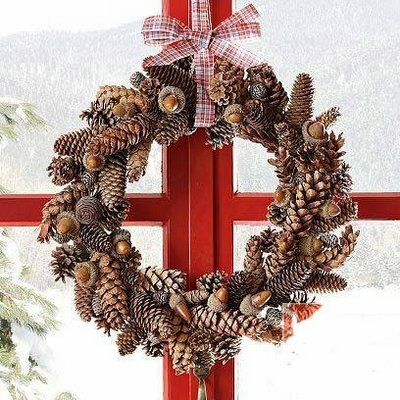 A lovely alternative to greenery, I'm sure this wreath would be quick work, with a variety of collected pinecones and acorns, a circular foam base and a lot of hot glue. 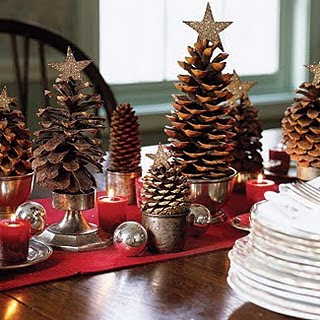 Old candlestick-holders, pinecones, and a glittery star or two, and you've got a little Christmas sparkle for the table. I love that the pinecones are so compact, so if your Christmas feast consists of dozens of dishes, they will squeeze in nicely between the turkey platter and the brussel sprouts. If your family is competitive each year about who can wrap the fanciest presents, then perhaps a pinecone and pretty ribbon will finally put you in the lead? Simple, natural, beautiful. 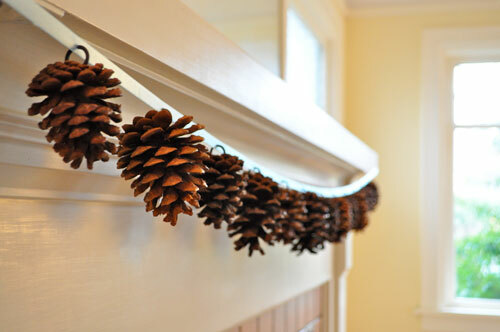 I could imagine this garland in a cosy Christmas log cabin, or in a sleek Scandinavian apartment. 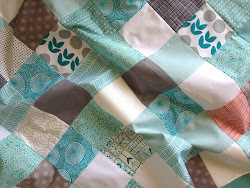 Martha Stewart design, of course. 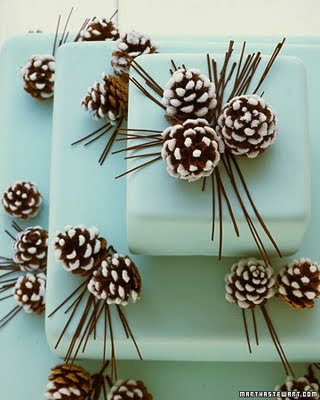 And though you can't eat the pinecones, the pine-needles are made of chocolate! 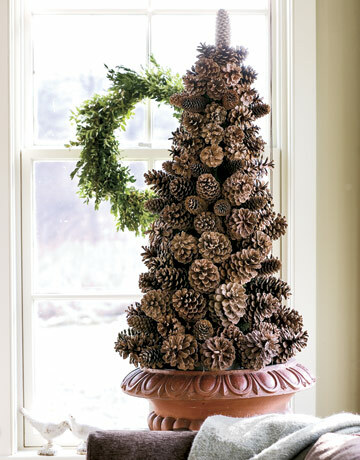 And if you hit the jackpot and find a mountain of pinecones, why not make your whole Christmas tree out of them! Just be careful if your dog is anything like Bella... or else Christmas morning might be a carnage of chewed cones! Love all these ideas- especially the cake. We have to make one that colour. Love the pinecone garland. I'm going to give it a try! view its genuinely amazing for me.http://bit.